Welcome to Salsa Greenville SC! 2019 Classes Begin January 9, 2019 DANCE UNITED, 580 Woodruff Rd, Greenville, SC. Meet New People and Make New Friends as You become Introduced to a Dance that is Truly Universal. Everyone is Welcome and No One is a Stranger! Immerse yourself in the Rhythms and Flavors of Salsa! 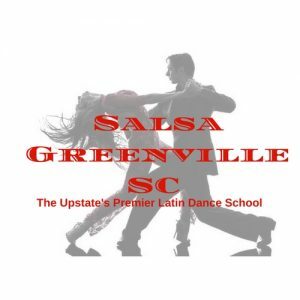 Learn to Dance Salsa and Bachata with the Upstate’s Premier Latin Dance School! Get in Shape, Have Fun, Increase Energy Levels, Create Endorphins, Gain Confidence, & Improve Your Social Life! Susan Zaglin is South Carolina’s ONLY BBS Certified Instructor/Pro-Trainer (Red-Black Belt) and DBM Graduate and is affectionately known as “Greenville’s Salsa Queen.” She has 26+ years of dance experience in almost every genre of dance including tap, jazz, ballet, modern, belly dance, salsa (LA, NY, Cumbias, and everything in between), merengue, bachata, cha-cha-cha, and ballroom.